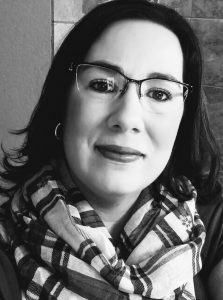 Kelly Dias has been the sole proprietor of Kelly Dias Accountancy, PLLC since 2008. She is a Granbury resident and has three very active kids and a dog named Charlie, all of whom you will often see hanging out at the office with mom! She loves Granbury because it is a great place to live, work, and raise kids. Kelly practices Public Accounting with an emphasis on small business consulting on tax matters, representation before the IRS, accounting systems, financial analysis and financial planning. She offers consultation on QuickBooks as well as provides full bookkeeping services for small businesses. Kelly Graduated from Chico State University in 1995 with a BS in Business Administration with an emphasis on accounting. She passed the CPA exam in 1995 and went to work for a regional firm doing both audit and tax work. She was certified in California in 1997. She then went to work for Bi-Tech Software doing accounting systems consulting for governmental and non-profit organizations. In 1998, she was selected to be a part of an implementation team for Harris County Texas. She quickly became the Lead Accountant and then the Assistant Project Manager. At the conclusion of the project, she managed an on-site implementation project in the Seattle area and assisted the sales and marketing team. In 2001, she left Bi-Tech to become an independent consultant to the Harris County Auditor. In 2004, she left the Harris County Auditor’s office to follow a passion and start a ministry for teen moms for the YoungLife organization. 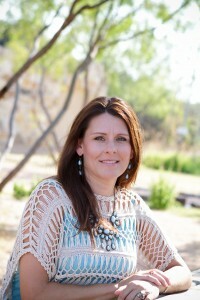 She moved to Granbury in 2007, and was certified in Texas in 2008. She opened her practice in Granbury in 2008. She moved to our current location in 2009. Kelly’s experience gives her the unique ability to work with small business owners. Not just because she is one, but because she has worked with organizations both large and small to develop effective accounting systems, processes, procedures, and financial management tools. Georgia Welch is our Staff Accountant and has lived in Granbury since 2009. She is married and has four school-aged children. She graduated from the University of Texas at Arlington with a Bachelor of Business Administration in Accounting degree in May 2016 and is currently working on her Master of Accounting degree at Tarleton State University. She is slated to complete that program December 2017 and then will sit for the CPA exam in 2018. Before coming to work at KDA, Georgia interned for the City of Granbury in the finance department and has over 15 years combined experience in non-public accounting across several industries. One of Georgia’s strengths is her commitment to developing one-on-one relationships with our clients, helping them navigate the processes necessary to solve their individual accounting problems. She sees her work in public accounting, working with small businesses, as a deep calling. She feels her role is to partner with clients, using her skills to help business owners be successful. Georgia understands very well people don’t go into business to worry about accounting processes and tax rules and wants to help business owners focus on their vision for success. Not payroll taxes, depreciation and reconciliations: the nuts and bolts of operations. When these compulsory items are handled expertly, the mind of a business owner is free to dream and be inspired. Some of Georgia’s experiences for our clients have included: comprehensive bookkeeping, payroll processing, federal payroll tax reporting, TWC reporting, sales tax reporting, bank reconciliations, and financial statement preparation and review. She also works preparing taxes during our busy season and is tireless in her efforts to exceed client expectations. Georgia loves Cajun food (especially crawfish) and when she’s not working (which she also loves!) or going to school, she likes to spend time at the beach, camping or just being outside with friends and family; playing games (even golf) and taking road trips. Brittney Owens is our Administrative Assistant. She started life in Granbury and graduated from Granbury ISD in 2002, but has spent time in the Galveston area and other interesting places. Lucky for us, Granbury always draws her back! At KDA, Brittney is a crucial member of our team. She keeps the office organized and running well and is instrumental in getting our clients the answers they need. It is Brittney and her warm and friendly nature that welcomes you to our office and greets you on the telephone. In addition to the excellent management of our office, Brittney also assists with special projects and other bookkeeping items. She has 2 active girls and enjoys fitness, reading, sewing and silly videos. She also has a flair for decorating and a devoted love of gummy bears. Mary Smith joined KDA in 2010. She has been married for 47 years and has three daughters and seven grandchildren. She and her husband, Ed, love to cruise and travel in their RV. She also likes to read and play golf when she’s not with her girls and grandkids. Mary began doing tax preparation in 1971, completing over 100 hours of accounting and tax courses. She passed the enrolled agent exam and received her enrollment certificate in 1999. She has a total of 34 years of tax preparation experience. She excels in trust and estate taxation, as well as addressing the unique needs of the mature and retired client.